In Collaboration With Weird Mario Enemies! It's probably hard for some of you to even imagine such a world, but I'm actually old enough to remember when Super Mario Brothers was a hot new phenomenon, and people thought it was the weirdest, "trippiest," zaniest Japanese nonsense they had ever witnessed. Thirty-some years later...it actually still kind of is. The boggling multiverse of Super Mario Brothers and their many, many spinoffs and sequels continues to be one of the wackiest, goofiest, least logical places in our popular culture, inhabited by thousands of creatures so peculiarly diverse that they still give even Pokemon a run for its money. Naturally, quite a few of those inhabitants fall on the monstrous, even morbid side of things, and with help from mods at Weird Mario Enemies, we're going to be looking at a wide selection of Mariostrosities sorted as best as we can by somewhat loose themes and categories. First up? THE LEGIONS OF THE DEAD. The only gaming ghosts more iconic than Inky, Pinky, Blinky and Clyde, these bubble-shaped phantasms are known in Japan as Teresa, from tereru for "shyness," but were translated in the Super Mario Brothers 3 instruction manual as Boo Diddley. Most of us kids didn't get the reference to blues singer Bo Diddley, and the "Diddley" was dropped from all subsequent appearances. 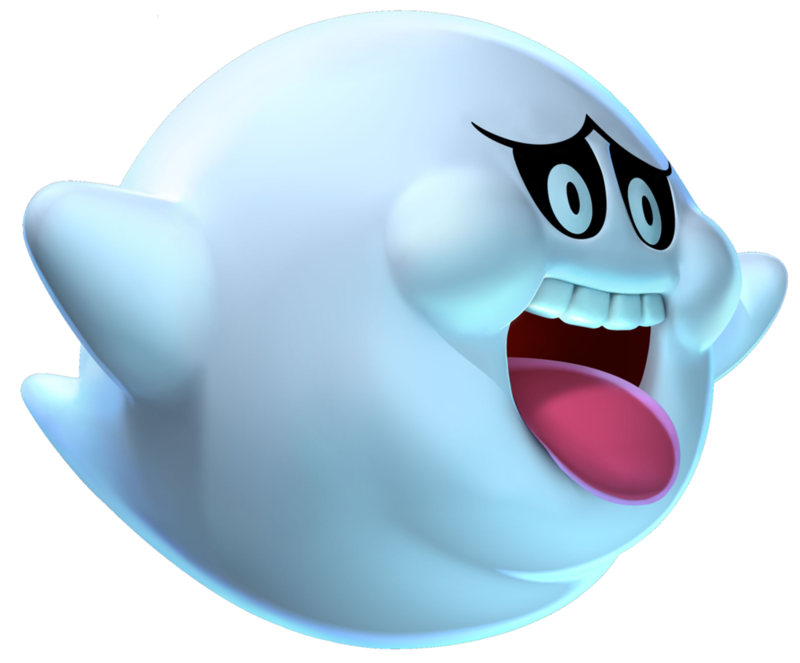 Boo are so famous at this point, it's easy to dismiss them as a "generic" ghost design, but their nearly spherical forms aren't really all that common to ghosts and spirits in most media, and your typical white Halloween ghost very seldom possesses a mouthful of fangs. 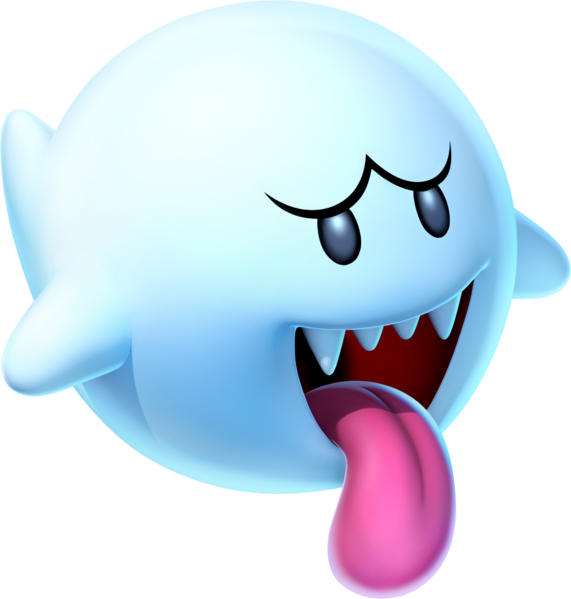 The protruding tongue is also a feature more common to Japanese ghosts than our own, and then of course there's the famous behavior of the Boo. 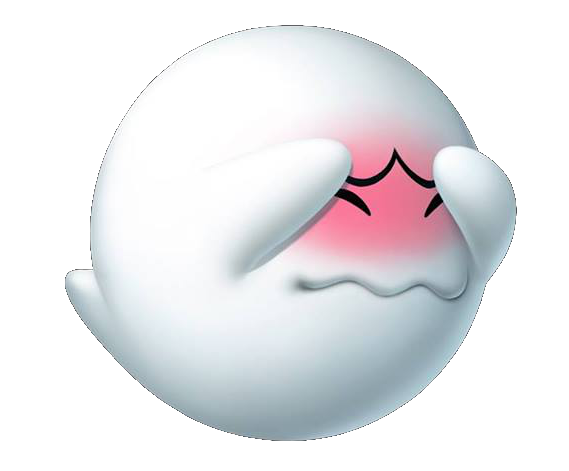 Boo are fast moving, invulnerable and can pass through walls as they please, but they're also very "shy," so when you face towards them, they freeze up and try to hide their faces like a child who hasn't yet developed a sense of object permanence. It's a simple gameplay mechanic that not only turns them into more than just any "scary ghost," but can make groups of Boo a downright harrowing experience as you do your best to play deadly stop-and-go with monsters floating at you on all sides. 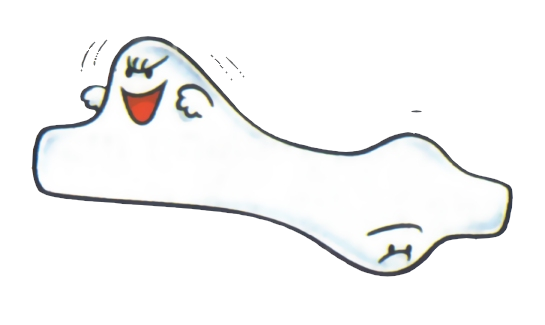 This Boo variant from Super Mario World was always interesting to me, manifesting as a ghostly white platform Mario can actually walk on without necessarily dying, and will of course have to do so in order to progress. Unfortunately, the platform is apparently just a bunch of ghosts fused together, and they can reach out unexpectedly to slither around this ectoplasmic membrane before they disappear again. It's another simple mechanic, but another that makes for a surprisingly alarming situation...and I love the whole concept of ghosts just merging into a wall or floor to ambush intruders. Newer, 3-d games have brought back the Stretch, but as enemies that rise out of otherwise ordinary looking surfaces in their haunted houses, which really isn't as cool as the platform itself being made out of ghost-flesh. Giant Boo have made numerous appearances, but none as terrifying as this corpulent wight whose blocky, human teeth manage to be far, far more unsettling than the fangs of its smaller brethren. Together with the puffy cheeks, Boohemoth looks just a little bit more like Slimer than the other Boo, and it's entirely possible that this was an intentional reference, because they really do seem to love Ghostbusters over there. 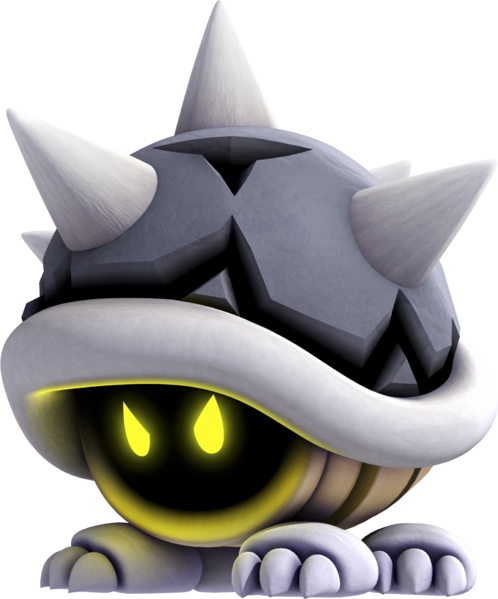 Introduced in Super Mario World, the Eerie are much simpler enemies in that they do nothing but fly forward, in a straight line, until they're off-screen, and like most ghostly enemies, they can't be killed. The fact that they're ghost dinosaurs makes them fairly interesting, though, haunting houses in the same network of islands Yoshi originally calls home. 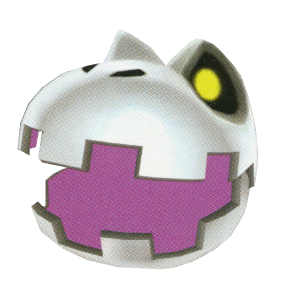 This actually appears to be the ghost of a Lakitu, but I love its design more than either the living Lakitu or the standard Boo. Those glasses on that simple, otherwise faceless gumdrop of ghostliness are far too delightful! 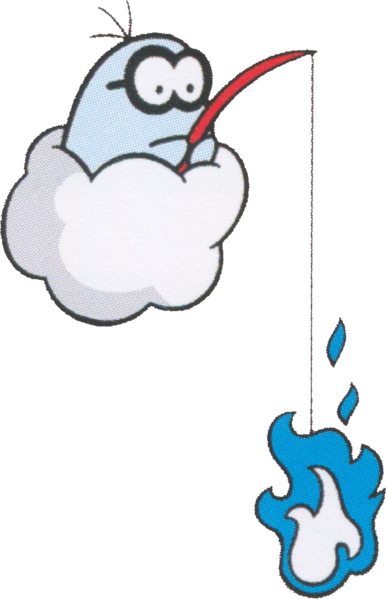 Some Lakitu in Super Mario World dangle a 1-up mushroom from a fishing pole, and are difficult to catch. They're pretty much just being jerks, taunting you to try and catch that extra life while you try to dodge other hazards around the level. Fishin' Boo, conversely, tries to dangle a deadly, ghostly flame right into your face, and makes navigation around the Ghost House all the trickier! 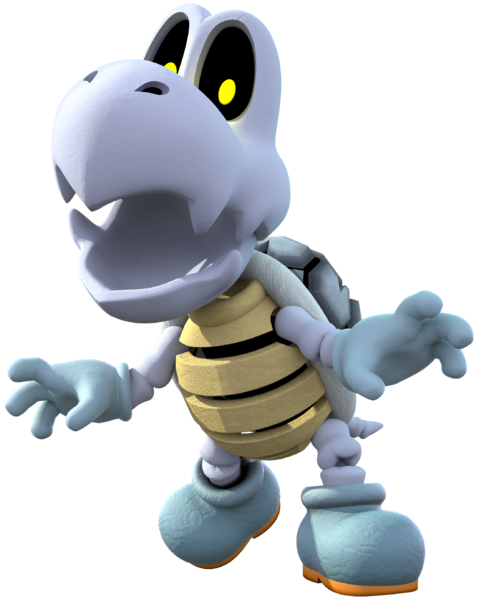 Another introduced in Mario 3, Dry Bones are undead, skeletal Koopa Troopas presumably animated by some sort of necromancy available to Bowser, or possibly his wizard Kamek, and simply reassemble their bones moments after Mario smashes them. Let me just say how glad I was when one of these became a Mario Kart racer, and that ever since, I've been distinctly less interested in playing any Mario Kart game that does not allow me to play as a turtle's corpse. 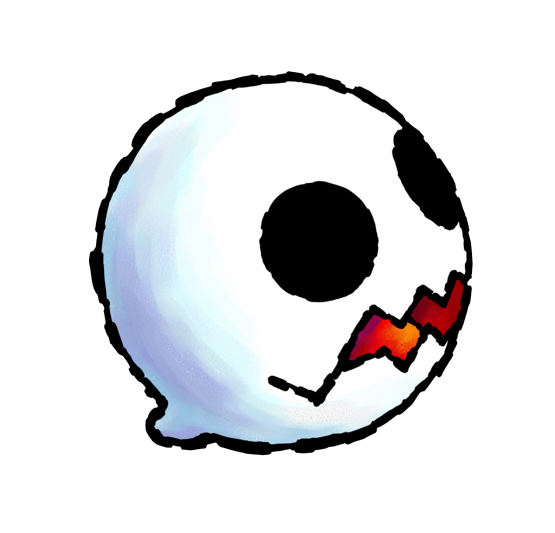 Dry bones look their absolute best in the Paper Mario games, with delightfully goofier skulls, no lower jaws, scrappy hairs on their heads and appendages that simply float in place. I wish this had become the official design of these guys across the series. The English name is a reference to the song Dem Bones, which you may have heard referenced in countless other places without even knowing it. 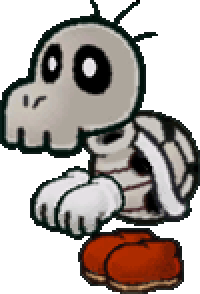 This is a skeletal version of "Buzzy Beetle," a classic Mario enemy that for some reason looks exactly like a turtle rather than an insect, albeit a different kind of turtle than the Koopa troop. The undead variation deviates even further, with only two feet and a set of glowing eyes delightfully peering out from the monster's shell. Further, it can compress its shell to expose a series of sharp spines, making it lethal for Mario to hop on...and it still comes back to "life" the same way as a Dry Bones. Unfortunately, bonies would lose some of their more interesting traits over the years, with their newest incarnation possessing a more typical set of skeletal feet and spikes that are always exposed. It still throws me that these things got called "beetles" in English, too. 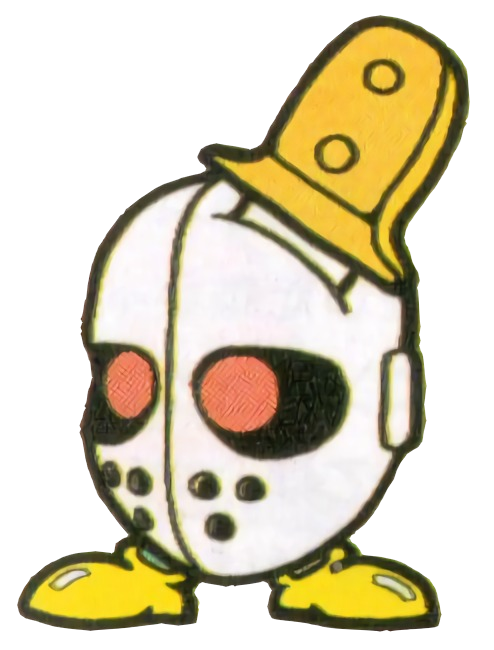 I guess their original NES-era sprite kind of looked like one, but their Japanese name is just Metto, from "helmet." Weird Mario Enemies feels that these should have been translated as "Wet Bones," and I 500% agree. Let's only ever call them that from now on. WET BONES don't look anything like the non-skeletal fish creatures of the Mario world, but it would be admittedly difficult to fit a fish skeleton into the shape of a cheep cheep. 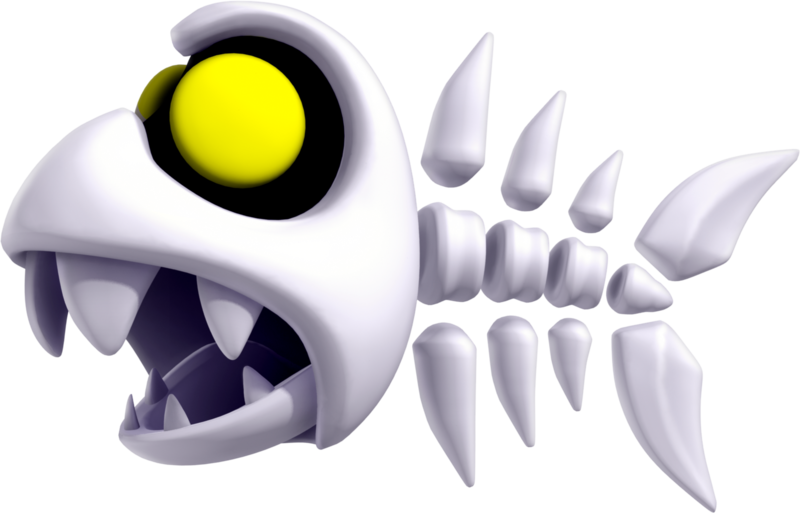 These creatures don't do much, but I am a big fan of skeletal fish in general, and I love the WET BONE'S goofy face. Anything at all can exist in the Marioverse; such as an undead skeleton that somehow used to be a plant. 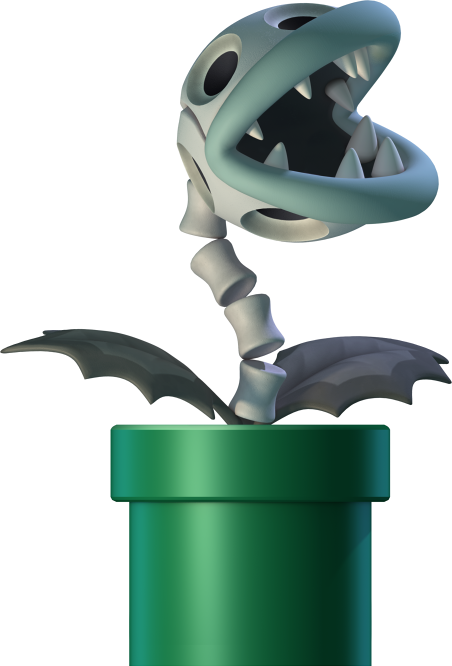 Piranha plants are easily the world's most famous ripoffs of Audrey II, and I'm just so glad they got the spooky skeleton treatment in recent games. Even the leaves are more gothic than usual! I love how the polka dots of the living version are represented here by black holes, too, like multiple eye sockets. Why on Earth would their skull even look that way? I mean, after we get past the question of why they have any skulls at all, obviously. Eventually, even the King of the Koopas got in on some lichdom, arising as a giant, terrifying skeleton after Mario dumps him in molten lava. That's quite a bit more morbid than I ever thought a main Mario game would be willing to go, honestly. 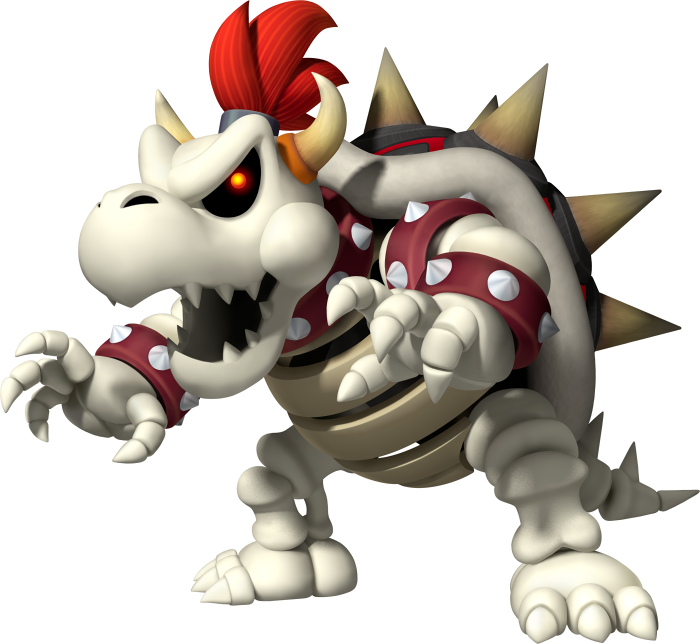 We literally get to burn all of Bowser's flesh and organs away, and his bones come seeking revenge. Two kinds of haunted objects appear in Mario 64, the very first 3-d Mario title and one of the first ever 3-d platformer. 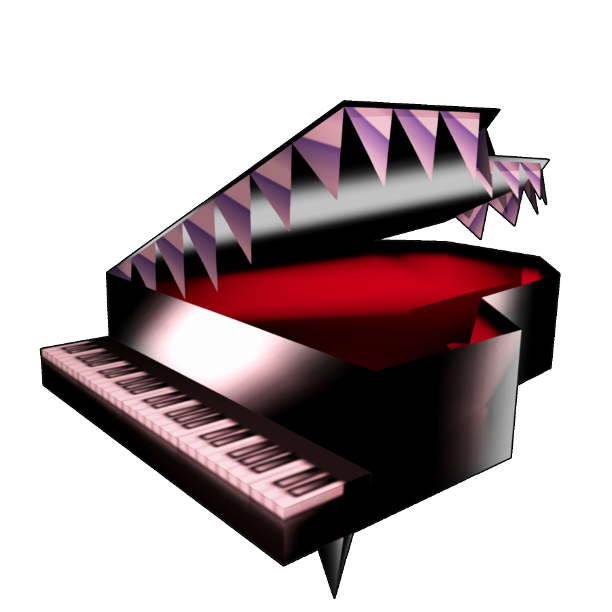 Bookend is here more than anything else for its excellent name, and Mad Piano because it's a piano with teeth. How great is that!? It snaps from an ordinary, inanimate musical instrument to a snapping, clattering monster as soon as Mario gets too close - one of the Nintendo 64 generation's most notorious Jump Scares. Appearing in 3-d games on the Wii and later consoles, this bizarre monster consists of a giant, floating, reptilian skull that can seemingly eat literally anything, chomping through platforms or the ground itself to leave a trail of nothingness behind...but soon, that nothingness fades away and fills back in, safely traversable once again. 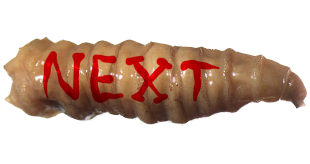 I guess whatever this entity "eats" is simply banished to some sort of limbo, and then only temporarily. From Mario and Luigi: Superstar Saga, these unexplained, shadowy Anubis heads simply fire deadly red laser beams from their eyes, and briefly morph into a shadow of Mario or Luigi depending on which brother they're aiming to attack. I'm not sure they're the ghosts of anything in particular, but, I thought I oughta include them. 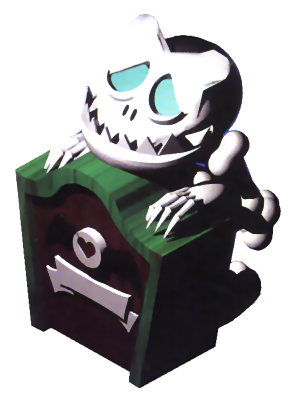 My favorite undead added by Super Mario RPG: Legend of the Seven Stars, the Reacher is a monstrous skeleton of uncertain origin, with a lovably wide grin and sorrowful eye sockets. Its gimmick is hiding behind a tombstone, possibly its own, and attacking with its unsettlingly long arms! Behold, one of the most terrifying things ever inserted into a Paper Mario game, or almost any Mario game for that matter. In Super Paper Mario, you and all your friends actually die at one point, and for some reason you all go straight to hell except for Princess Peach. I guess royalty get special privileges. While exploring the "Underwhere," you can hop off Charon's boat and into the River Twygz (cute). Drift deep enough, and you'll be pursued by pale, humanoid arms as the game's music gives way to demonic, backwards chatter! It's not THAT terrifying, no, but in the context of a Mario game, it's pretty intense. 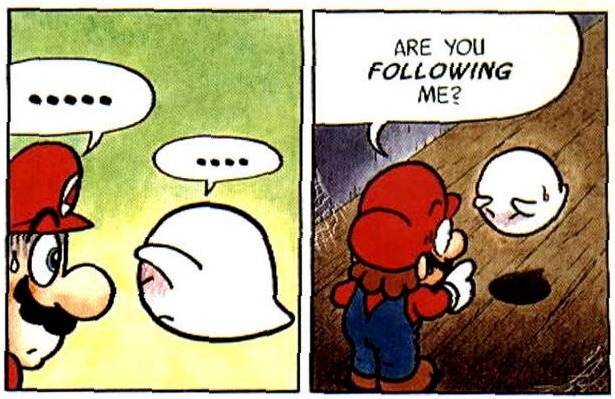 We could probably review other ghosts from Luigi's Mansion, but most of them are honestly rather conventional. They're either variations on the Boo, variations on other existing enemies, or they're actually just floating, ghostly humans, which raises a lot more questions about the Mario universe than I'm sure they're ever going to answer. Bogmire, however, is truly something special. 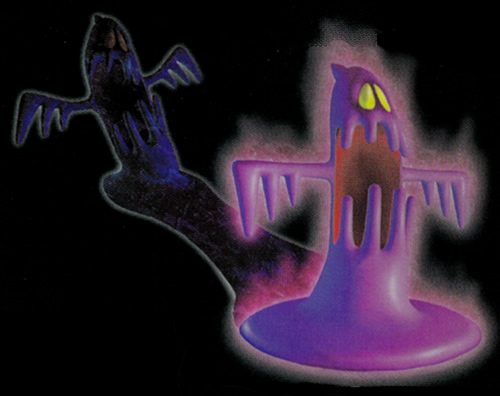 Apparently not special enough for official artwork at any higher resolution, but "The Cemetery Shadow" is apparently a manifestation of all the fear and sorrow in the haunted mansion itself, and can generate shadowy duplicates of itself. I love the gooiness of Bogmire, just this looming purple heap of dripping ghost-stuff with such pitiful, sad eyes. Just a superb visual for something called both "Bogmire" and "The Cemetery Shadow!" 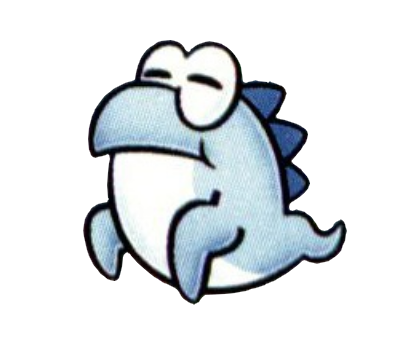 This one comes to us from Yoshi's Island, and everything about it is top quality. 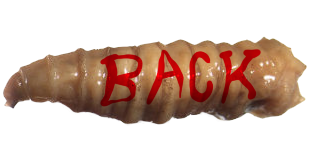 It usually slinks around as a splendidly slug-like little glob, but can rear up into a long-limbed, big-mouthed bogey for just a few seconds before snapping back into crawling wad. I love the cartoon zaniness of its face, and I especially love the "gooiness" of its lower reaches still stuck to the floor or ceiling. A Yoshi's Island boss, Roger is summoned out of a potted plant by Kamek's magic, and is pushed around by a couple of persistent Shy Guys. 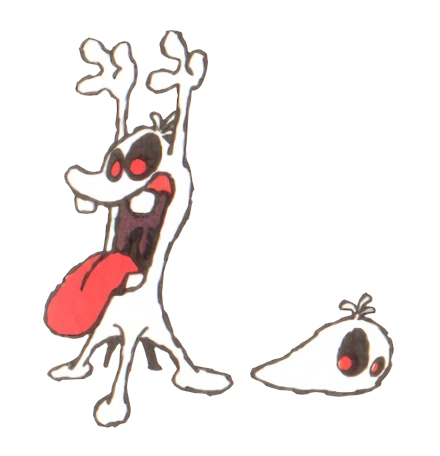 He seems to be the same species as other amorphous ghosts in the same game, who re-use the same face on a similar mass of wavering, transparent mist. While his design is fairly simplistic, Hector was designed for the Nintendo Dual Screen port of Yoshi's Island with some pretty novel gameplay in mind: during this battle, the lower screen of the portable console displays an upside-down reflection of the boss room, representing a huge mirror, and only by attacking the "reflected" Hector can you win the battle. Just watch! I swear this is official art and not some kind of weirdo fetish drawing. This enemy was simply known as Shinigami-san (equivalent to "Mr. Death") in Japan, but the English translation went with Grim Leecher. 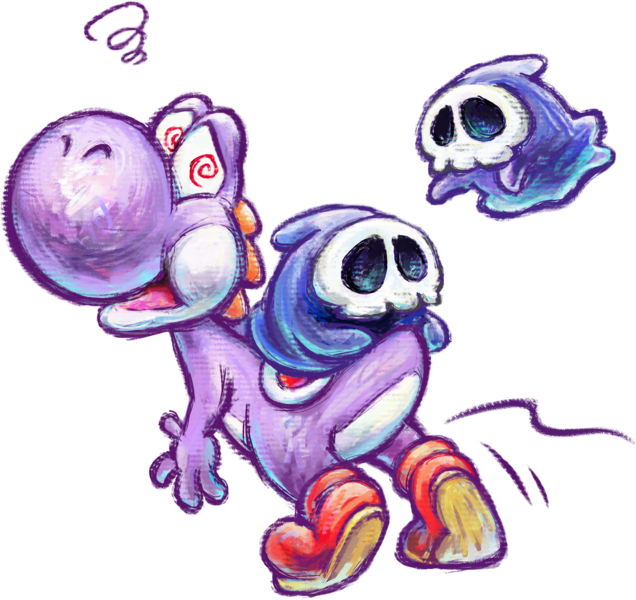 Yoshi, in this game, is supposed to carry baby Mario on his back, but the "Leecher" will kick Mario off and curse Yoshi to move in the opposite direction you intended him to, which is all EXTREMELY funny for a little, baby-sized reaper to do. He wants to ride on the dinosaur, damn it! 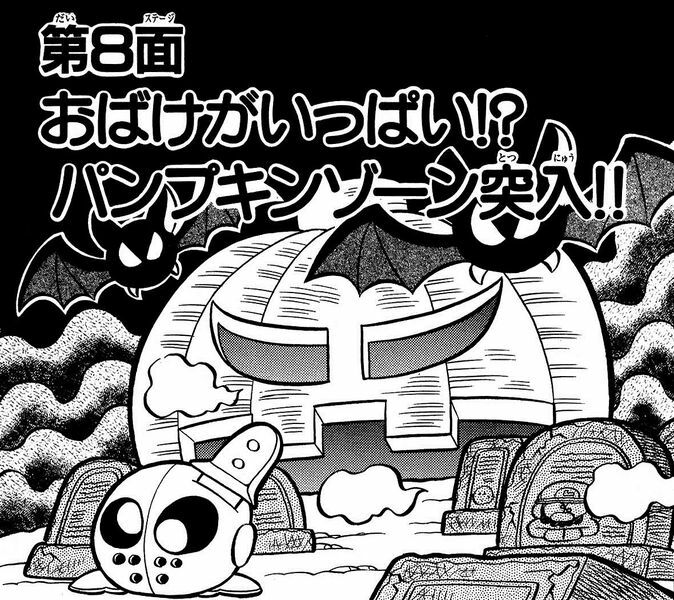 Appearing only in the spooky "Pumpkin Zone" of the Gameboy-only Mario Land 2, these enemies don't behave much differently from Goombas, but they happen to be walking, bodiless Jason Vorhees heads...complete with a dagger embedded in their skulls! Give me one of these. Give me all of this, actually. Let me live in the Pumpkin Zone and just keep a bunch of waddling Jason heads in a little pen like they're chickens or goats. 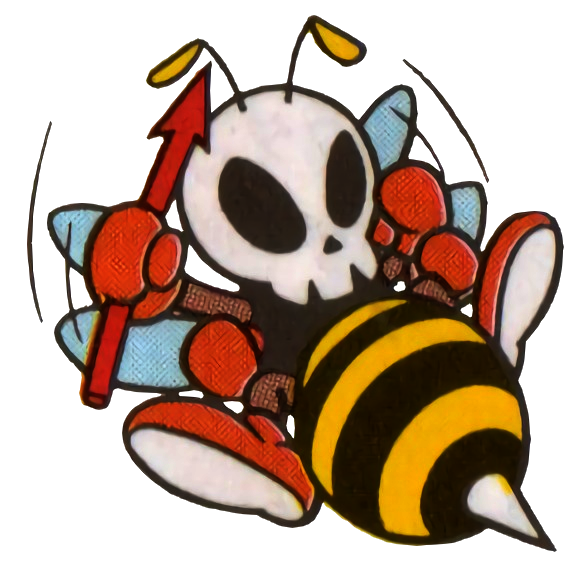 Literally skull-headed versions of a bee enemy found in the same game, and their sprite even makes their little abdomens transparent! Like other skeletons we've seen, these dead wasps can only be destroyed temporarily before they get back up again! We now come to perhaps one of the weirdest and most obscure of all Mario enemies. 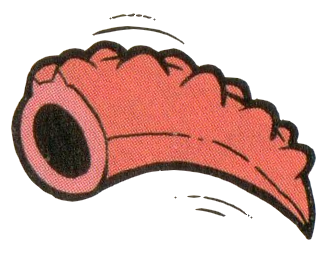 The Pikku is described as "leech like" by Mario Wiki, but it's clear to me from its official artwork that it's supposed to be the still-wriggling, severed tail of a lizard or salamander. 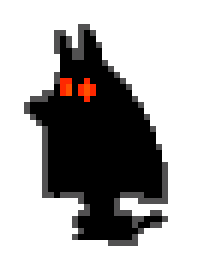 Despite how minor it is - only jumping back and forth until it dies with a single hit - there are only two Pikku in the whole game, encountered in Pumpkin Zone's final stage, the lair of a witch! I'm going to go ahead and consider it "undead," even though it's equally likely that it was simply severed recently enough to still be undergoing muscular spasms. To end on one of my personal favorite concepts here, this Paper Mario boss isn't explicitly referred to as being dead, but I don't think there's really any other way to interpret this than as a sort of "zombie." 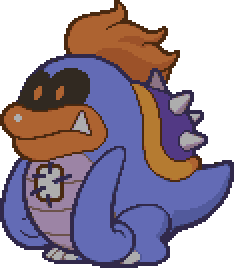 Tubba Blubba was a gentle giant and petrified of Boos until Bowser magically removed his heart, reducing Blubba to an invincible monster that now eats the shy spirits. What's really wonderful here is that the heart is actually a separate, sapient creature, who not only controls the body from a distance but apparently enjoys Blubba's new dietary preferences by remote, since it remarks on how tasty your own ghostly friend looks. The concept of a removed heart puppeteering its old body and hungering for lost souls is possibly one of the coolest, darkest ideas I have ever once been asked to contemplate, and I was asked to contemplate it by a Mario game. While this certainly didn't cover every "undead" creature Mario, Luigi or their friends have ever run across, I think we've gone over enough of the most important, unusual or otherwise interesting, barring a few major villains we'll be saving for a final post! Meanwhile, enjoy the Weird Mario Enemies blog, whose mods put together a massive list for me to draw from! If you like my monster reviews, you'll find a similar level of enthusiasm for the biology of walking mushrooms and sentient bullets!